Achieving your whole body health by simply drinking water. Water is an essential component of everything that has life. The human body is up to 60% water. Research has shown that, a person can go for up to 7 weeks without food but cannot survive for more than five days without water. The recommended daily water intake for adults is 2 liters. However, this varies with age, gender, climatic conditions and activity. This daily requirement can be obtained from various sources. These sources include water rich foods, fruits, fluids such as milk and juices as well as foods and soup. The benefits of drinking water over other drinks are many. Water contains zero calories and is anti-alcohol and anti-caffeine. Several body processes are dependent on water. Drinking water plays a very critical role in your entire body health and it’s important to always stay hydrated. In this article, you will learn 8 of the many health benefits of drinking water. Drinking water alone can prevent diseases such as headaches, backaches, cramps and sprains as well as hangover. Japanese water therapy has been shown to cure serious disease such as arthritis, high blood pressure, gastric, constipation, diabetes, TB and even Cancer. Taking water can as well help in preventing kidney diseases such as kidney stones and urinary tract infections. Taking water can also be good for your heart health as it maintains proper viscosity of blood plasma and fibrinogen distribution. Water can be very effective for the gut when taken first thing in the morning in an empty stomach. At night your body is in a fasting state and water is considered best for breaking fast. Drinking water in the morning helps maintain a normal bowel function. It eliminates toxins in the gut. Drinking water is important for the absorption of nutrients by the gut. Production of saliva which is important for initiation of digestion also requires water. Staying free of gut problems such as constipation, stomach ulcers and heartburn are benefits of drinking water that anybody can attain. Water is considered a natural appetite suppressant. Taking water around 30 minutes before a meal can make you feel full. As a result, you will consume fewer calories. Water can also boost metabolism. As result of improved metabolism, the body burns fat and increases total energy used and consequently weight loss. Do you desire a glowing healthier skin? Tried almost all health products in the market? No need worry; instead, you should consider the benefits of drinking water for your skin. Water will make your skin stay moisturized, prevent appearance of wrinkles and delay aging. Water will also flush toxins out of your body through sweating and urination keeping your skin healthy. 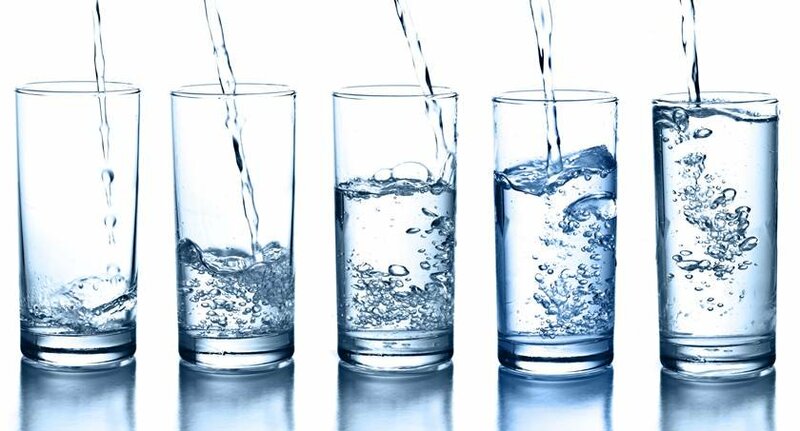 Drinking water also helps with maintaining skin elasticity as well as getting rid of skin disorders. Sweat which is the main body cooling system depends so much on your water intake. Drinking water replenishes this body cooling mechanism. The body naturally loses water even when you are not physically active. Hence, staying hydrated also replaces water lost by the body through sweat, urination and evaporation. Health benefits of drinking water for your body processes are many. Several body processes need water for proper functioning. Blood is 90% Water. Productions of blood cells require water. Carrying of oxygen in the body requires the body to stay hydrated. Water is also critical in other body processes such as production of neurotransmitters, hormones, muscle and blood cells. Staying hydrated can as well help the brain by filling up the reservoir. Dehydration can have negative effect on your memory, cognitive and motor skills and mood in general. Several other body systems require water such as the lymph. Drinking water is also important for normal body fluid balance. Dehydration can cause bad breath besides food that we eat. Drinking water keeps your mouth clean by washing away food particles and bacteria. Hydration also cleans compounds that oral bacteria create. Clean mouth translates to good breath. For healthy movement, the cartilage and disks needs the body to stay hydrated. The shock absorbing ability of the joints can be reduced if the body is dehydrated for a long period of time. Are you skeptical about carrying water bottles around? It’s about time to change that. Consuming the recommended daily water intake will help you stay healthy. The value that staying hydrated gives your body is immeasurable. However, you the quality of water you’re drinking matters a lot. The better the quality the greater the benefits that your body gains. You should not wait until you’re thirsty for you to take water as this could mean your body is already dehydrated. You should consider a plan to motivate yourself into drinking more water. The health benefits of drinking water goes behold those discussed in this article. Grace Nabea is a passionate writer with keen interest on matters health.